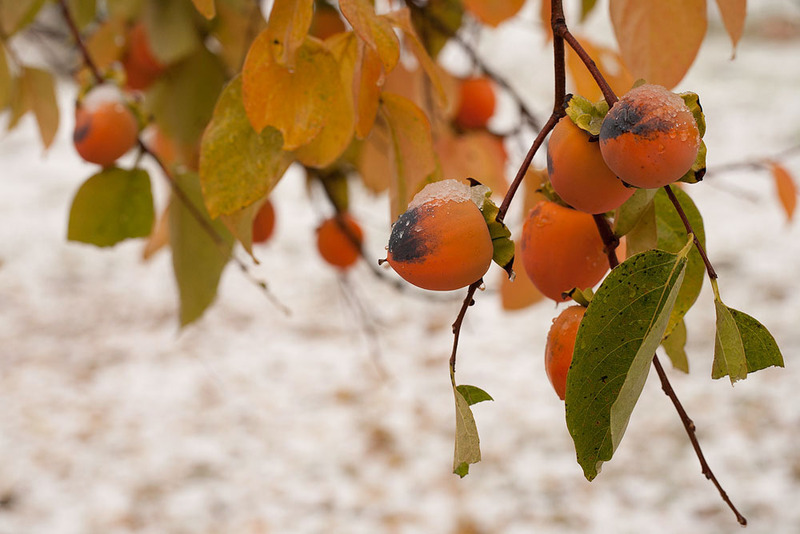 Hundreds of Hachiya persimmons on our grandfather tree got an overnight chill in the early November snowfall. The herd of deer around the house have grazed on the tips of the leaves. Grass is grazed. Leaves are browsed.